Gwen and Bill had been dreaming of building a unique home on their lakefront property, for years. 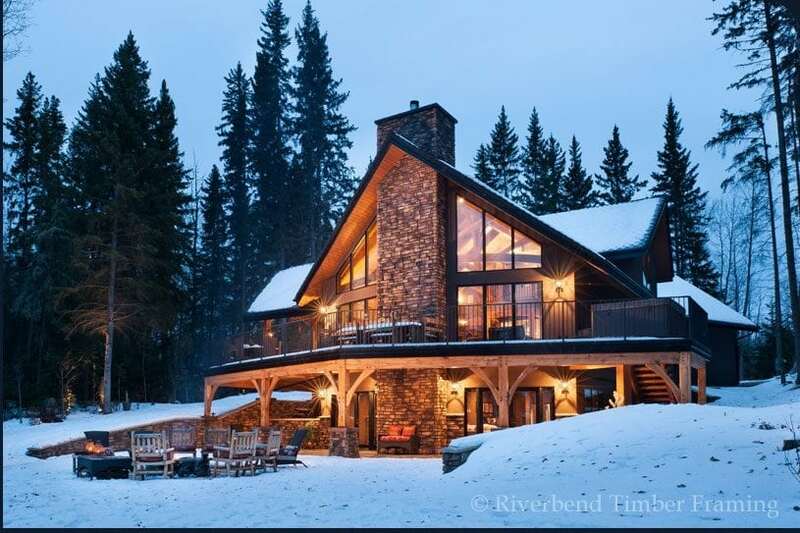 Located just a few hours away from their primary residence in Manning, Alberta, the couple were looking for a building style that would enhance the natural beauty of their build site. 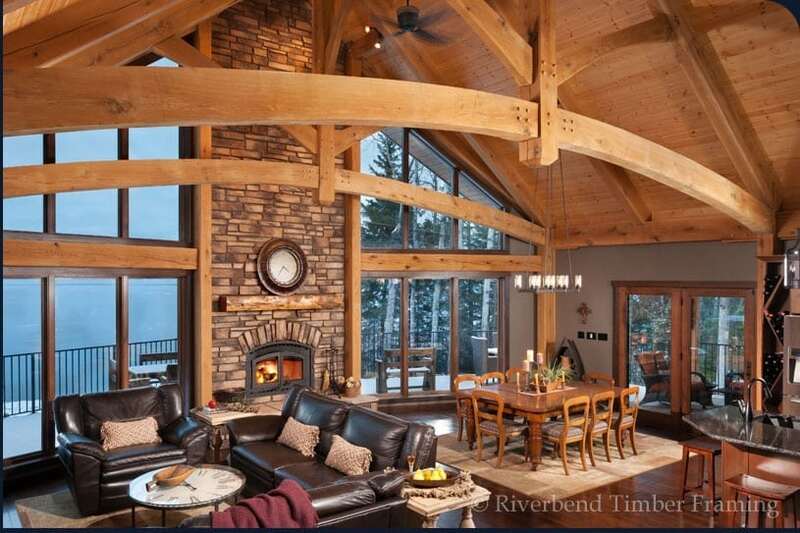 Loving the elegance of traditional timber framing, they turned to Riverbend to help them create a custom design that embraced both their personal wants and the pristine calm of the surrounding area. When the couple met with their M.T.N Designer, Jake Lappan, they were adamant about creating a design that took advantage of their lakefront views, both within the home and out. They also knew that they needed the design to work with their sloping lot. Jake took their vision and created a concept that worked with their specific location and views; including plenty of deck space above, as well as a covered outdoor living space and fire pit, below. Aside from their love for the outdoors, they also expressed an emphasis on family interaction. With the couple constantly traveling, they wanted a place to share with their children and grandchildren on weekends and during the holidays. To accommodate this desire, Jake included a separate loft apartment above the garage, as well as a fully finished walk-out basement with additional bedrooms. The completed home is an architectural gem; from the distinct stone and windowed prow protruding towards the lake, to the timber trusses that add authenticity and depth to the main living spaces. This home stands as an inviting beacon of warmth and comfort on even the coldest of Canada’s winter nights. You can see more images of this home in Riverbend’s new gallery entitled, Waterfront Haven.